A few weeks before Christmas on my day off I ventured into the cold to New Town Pertemps building. If you have never been to this Pertemps they have a great cafe that serve some lush Jamaican food. When I worked at the children centre we often popped to New Town to fill our belly. Pertemps is not just about helping people find jobs. Although today I was not there to eat. Today I had been invited with my boss to attend a celebration of a new program they had been running in association with Robot Wars. 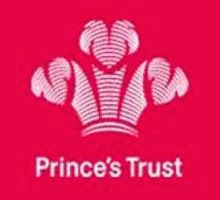 Princes Trust and Pertemps worked together to find 10 young people aged between 18-25 who are Not in Education Employment or Training. Otherwise known as NEET's. Young people are left unmotivated in a time where they can come out of school and not be able to get a job. The recession really has hit them the hardest. So it is up to us to get them interested and give them a bit of guidance and inspiration when the system has failed them. This project does exactly that. Hooking 10 young boys in to learn about making robots and how this could lead to careers in mechanics or engineering with a big fight off at the celebration This was open to girls too but seemed to have a higher interest from boys. In just a week of being taught new things and being given a little guidance the difference in these boys was amazing and just speaks for itself for the need for youth programmes everywhere. Interestingly this was funded by Will.I.Am at least he is putting his money to good use. 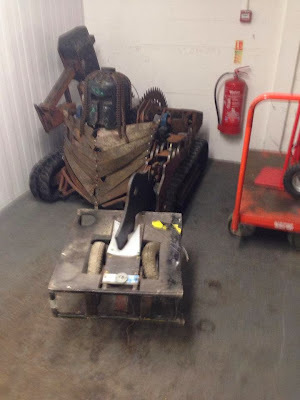 I also got the chance to see Major Damage a fire breathing robot! I have invited the guys to come and attend some of our projects so I hope to continue their interest in the future and keep them motivated and achieving.